Scheffel’s Toys #1 | Historic Jacksonville, Inc. The corner of California and Oregon streets where Scheffel’s Toys is located is the oldest known business site in Jacksonville. 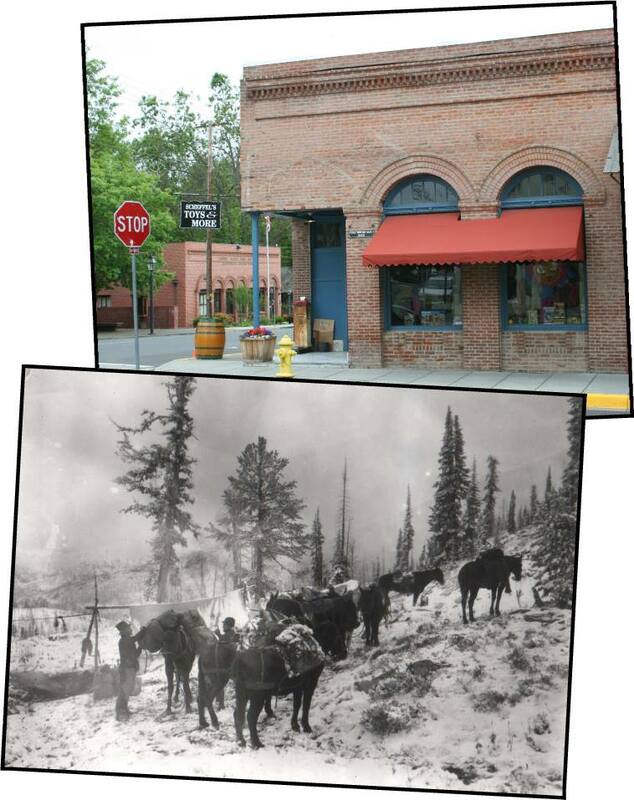 Early in 1852, soon after news of the gold discovery in Jacksonville spread to California, Kenny and Appler, two packers from Yreka, established the first trading post on this site. They stocked it with a few tools, clothing, boots, “black strap” tobacco, and a liberal supply of whiskey, essential items for an infant gold mining camp.